BIZ | LAW Rechtsanwälte is made up of a core team of highly-qualified attorneys in the fields of contract and labour law as well as company law. Where other areas of law intersect with our own, we work together with a network of exceptional specialists. We practice internationally via cross-border cooperative arrangements. Regular professional training ensures that we are able to meet our own demanding standards. For us, being solution-driven and practically-focused are more than buzzwords. BIZ | LAW is a member of industry associations and networks that are relevant to our clients. We make regular presentations to these groups on current legal topics. Hendrik Kamp focuses his practice on advising tech companies as well as innovation and leading-edge clusters. Born and raised in North Rhine-Westphalia, he passed the first state examination in law in Bavaria. After passing the second state examination in law, he started his career as the head of the legal department of a publicly-traded automotive supply company. Hendrik Kamp then worked in a leading position to successfully turn-around a mid-sized semiconductor manufacturer and along the way gained more in-depth business experience. At the same time, he acquired knowledge of systematic methods for improving processes with the assistance of analytical and statistical methods (Six Sigma). He started solo practice as a lawyer in 2009 and founded BIZ | LAW. Since the spring of 2016, Hendrik Kamp has been certified as one of the first Negotiation Facilitators from the Vienna School of Negotiation (www.ViennaSchool.at). Among other things, the Negotiation Facilitator certification programme teaches the methods of the Harvard Negotiation Project and those of the Vienna School of Negotiation, the Process Communication Models© and Next Element’s Leading Out of Drama©, in order to reach objective-based negotiation results that are equitable for all of the parties. Most recently, Hendrik Kamp completed the Negotiation Master Class Programme at Harvard Law School in Boston, U.S.A. in the spring of 2017. Hendrik Kamp is fluent in German and English. Stefan Hartung has a wealth of experience advising businesses both in private practice and in-house counsel. He was born and raised in Munich and studied law in Konstanz (Baden-Württemberg). After studying abroad in Italy, he began his career at law firms in Munich and Dresden. Before re-entering the private practice of law, Stefan Hartung led the Administration and Legal Departments of a Dresden-based start-up company from its formation. This opportunity not only gave Stefan Hartung a great deal of relevant experience in corporate and labour law, but also enables him to assess the interplay of these fields with the staffing and business needs of a company based on knowledge he gained working in industry himself. In addition, he is very familiar with the issues facing start-up and mid-sized companies related to their financing and creation of legal and administrative structures, in particular human resource issues. Stefan Hartung is fluent in German, English and Italian. He joined BIZ | LAW in June 2013. With an education in business management, Bianca Bellmann runs the administrative side of BIZ | LAW. She has many years of experience in various positions in the hotel industry, most recently as an executive assistant. Alongside her duties at BIZ | LAW, Bianca Bellmann is currently completing coursework to become a legal assistant through the Chamber of Industry and Commerce. Bianca Bellmann is fluent in German and English. Michael Philipp is a lawyer, tax adviser and auditor. After passing the state law examination, he began his career at Stuttart-based auditing company Bansbach as an audit assistant and worked as a tax manager at PriceWaterhouseCoopers, Leipzig after passing the tax adviser examination. He then moved to VNG-Verbundnetz Gas AG, Leipzig, where he held a position of responsibility in the areas of financing and accounting as well as tax for many years. During this time he reported directly to the managing director for business affairs. Since 2008, he has managed branch offices for tax consultancy CONNEX (Dresden, Radeberg, Bischofswerda und Riesa). He is a lecturer at the Vocational Academy of Saxony, Saxon University of Cooperative Education, Dresden. At BIZ | LAW Rechtsanwälte, he provides legal advice concerning issues in the field of company law that have a tax-related element. Michael Philipp is fluent in German and English. David Copland is a graduate of Boston University School of Law with a focus on intellectual property law. He has more than twenty years’ experience in the field of U.S. trade mark and copyright law and the law of unfair competition. 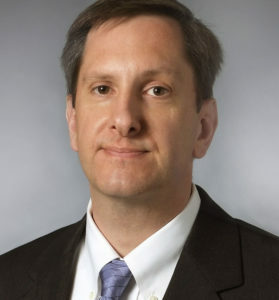 Prior to opening his open law offices in Dresden, David Copland worked for two large international law firms based in the United States where he advised companies of all sizes in the field of copyrights, from registration strategies, availability research, trade mark registration and judicial enforcement of trade marks in the U.S. market. He is admitted as a foreign lawyer to the Bar Association of Saxony. David Copland is fluent in German. His preferred language for business is English. Craig Aird completed his legal studies at the University of Washington, obtaining an LL.M. in taxation. He has been admitted to practice as an attorney at law in the U.S. state of Washington since 1995. After positions at several law firms in Seattle, USA and auditing firm KPMG in Frankfurt/Main, Craig Aird has been working as a consultant for America law in Dresden since February 2011. Craig Aird focuses his practice on American contract and tax law and speaks fluent German in addition to his native English. BIZ | LAW is an internationally-focused law firm for business and corporate law providing legal advice to large and mid-sized companies conducting business globally. BIZ | LAW stands for the entrepreneurial combination of economics and law in international business – we advise on all legal concerns of your entrepreneurial activities.